Discussion in 'Downhill & Freeride' started by norbar, Mar 27, 2013. Don't know how they go around the horst patent but the bike looks promicing, even if the susp reminds me of fusion whiplash. isn't the horst patent a US patent? edit: Norco and Scott come to mind. is the horst link patent not close to expire? that puts the horst link out of protection 2014 or 15 right? and according to wikipedia protection is only 20 years in the US, so it's fair game from 2014 and onwards! Time to design my horst bike then. omg that would mean specialized will make up the craziest marketing-**** evar explaining why they will go back to a single pivot with multiple links. Guarantee they're already working on releasing a new patented suspension system that is the next evolution, bigger and better then horst link, that will be new for 2014!! ^ Couldnt be more right. Haha. The latest and greatest coming up! One extra stay, one extra shock. At Specialized we give you more! although, in fairness, I think specialized has some of the most dialed bikes out there, and if silly marketing is the most successful way of getting their bikes out there, so be it. any price indication for NS bike frame? I suppose it will be out in the end of the year ? Dart is doing something closer to the big hit. Not sure if that's the right thing but that works better with their image. their soda frames arent badly priced by any means, so im assuming this frame wont be too badly priced.. although its safe to say it will be more than either of the soda frames.. 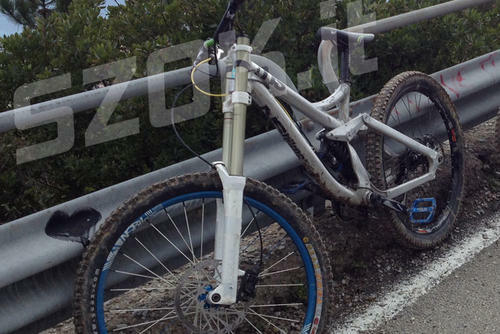 Specialized has the resources to produce top notch frames (and some of them are), too bad they decide to use proprietary shocks (Brain, Mini Brain, Futureshock, clevis shocks, TRIADs, old X-Fusion RC/RLA etc). Don't you need "special" shocks to compensate suspension system disadvantages? Lets get this thread back on track: that NS looks like a Trek Session! you ever ridden some of the current specialized's? say a demo 8 II or an SX? or an enduro, or a stumpjumper? specialized makes some damn nice bikes and no amount of snide nitpicking will change that.